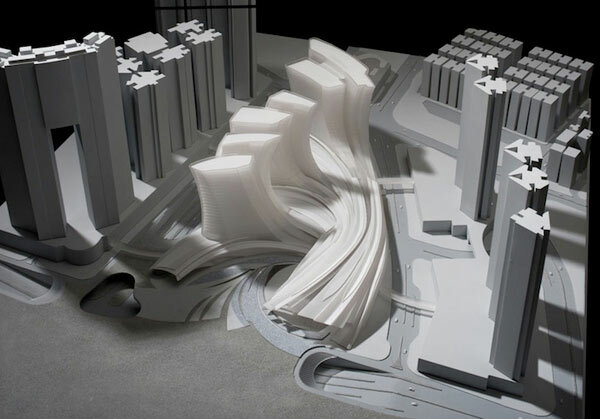 "Meant to connect Hong Kong to Beijing, the Express Rail Link West Kowloon Terminus is said to become the largest underground high-speed rail station in the world. 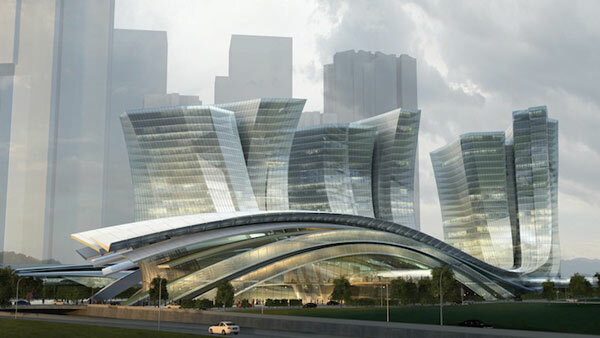 This stunning modern concept was designed by Andrew Bromberg of international architecture studio Aedas and its completion is programmed for 2015. 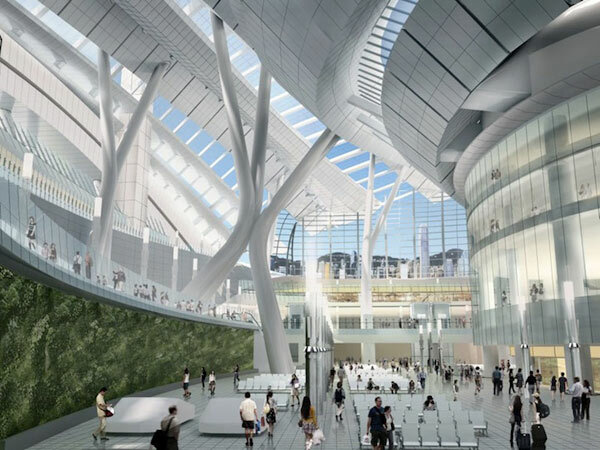 In three years time, the huge 4,628,481 square feet (430,000 square meters) contemporary terminal in central Hong Kong will be prepared with 15 tracks for high-speed trains reaching maximum speeds of 124 mph. 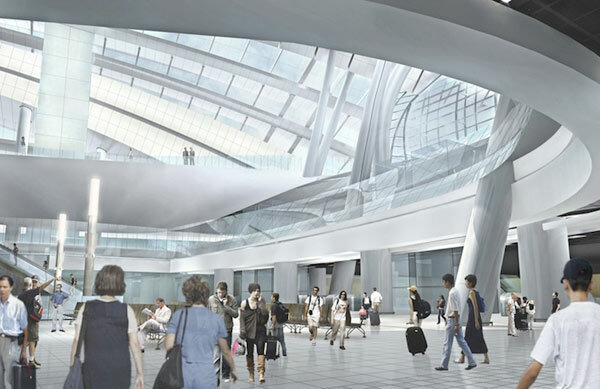 Helping travellers get from one city to the other in 48 minutes opposed to the current 100 minutes train ride, the dazzling terminal is also an example of how far technology and architecture have come together. 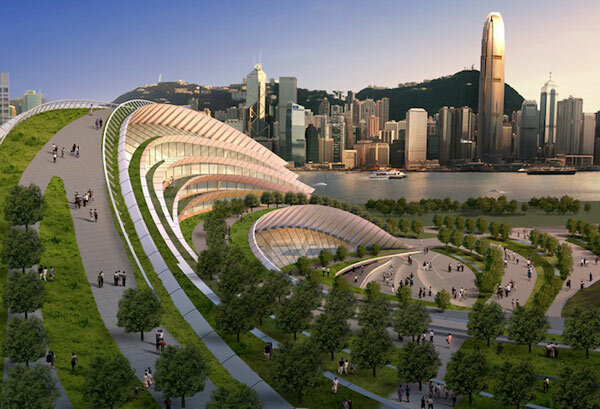 Starting with the first impression, this undulating building will change the city’s face – promising to proudly display Hong Kong’s bold and vanguard character. 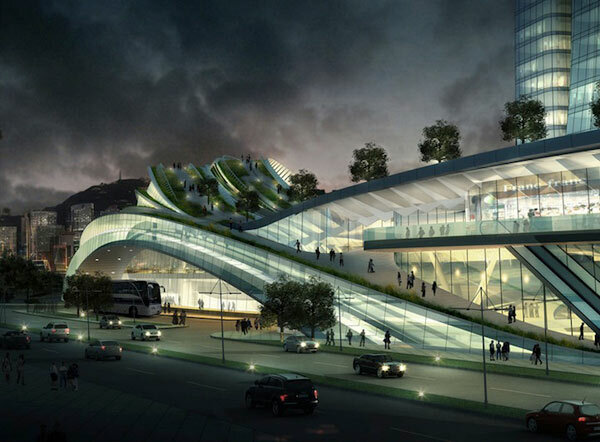 Rising 148 feet high above the surroundings, the structure’s roof line acts as dynamic-shaped pedestrian trails alongside green spaces. 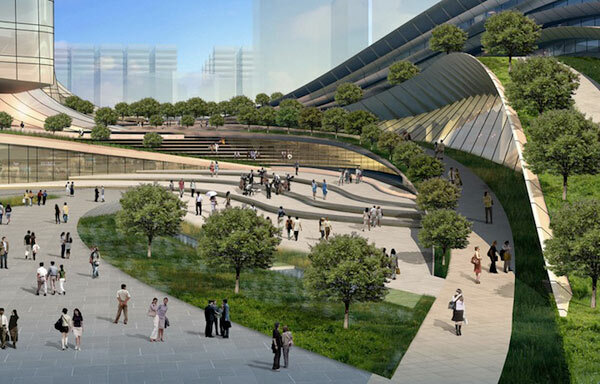 This park/terminal hybrid fabricates a promised view of the future."